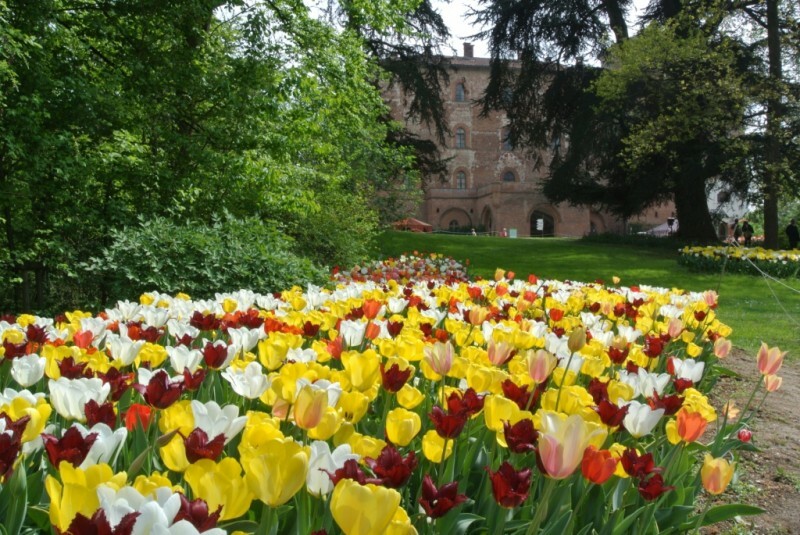 After a trip in Holland , Consolata Pralormo, in 1999 thought to organize a big event dedicated to the tulip, in historical park of the family Castle. 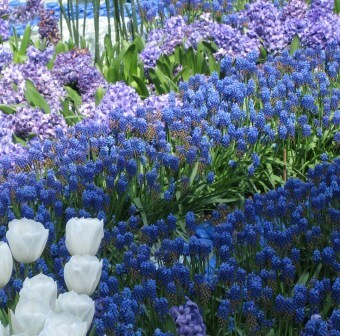 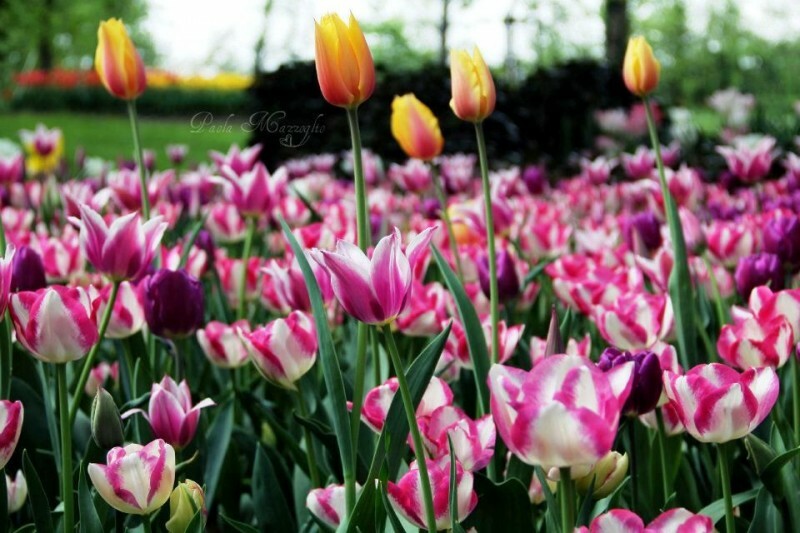 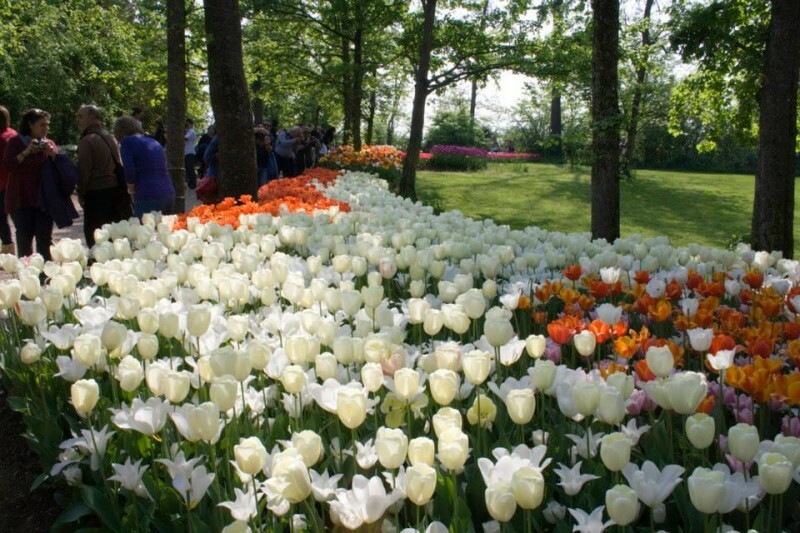 Since the spring 2000 every year on April the park entertains MISTER TULIP exibition, with the spectacular blooming of thousand of tulips and narcissus. 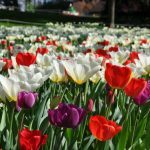 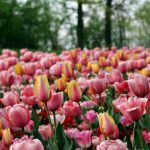 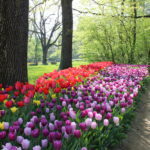 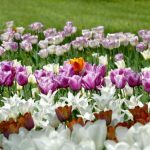 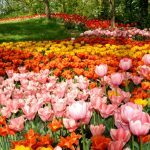 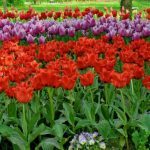 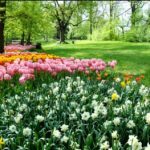 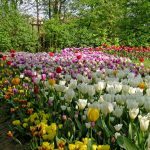 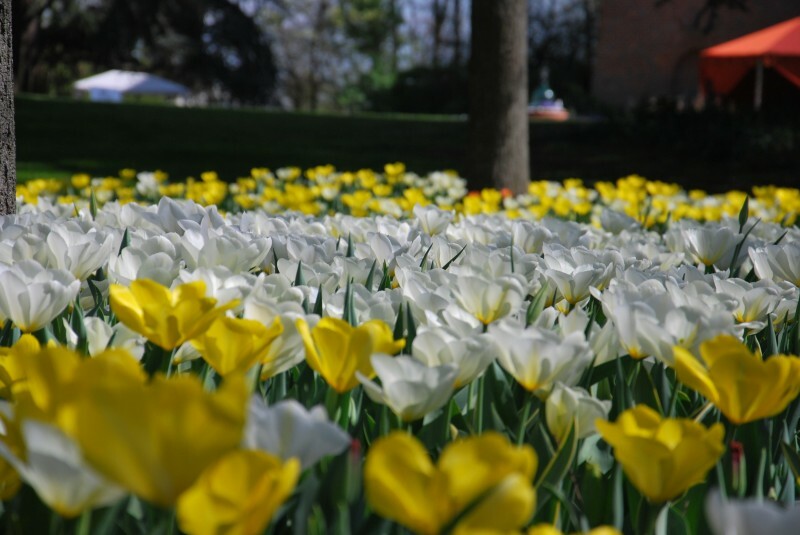 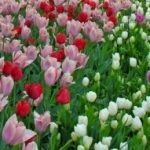 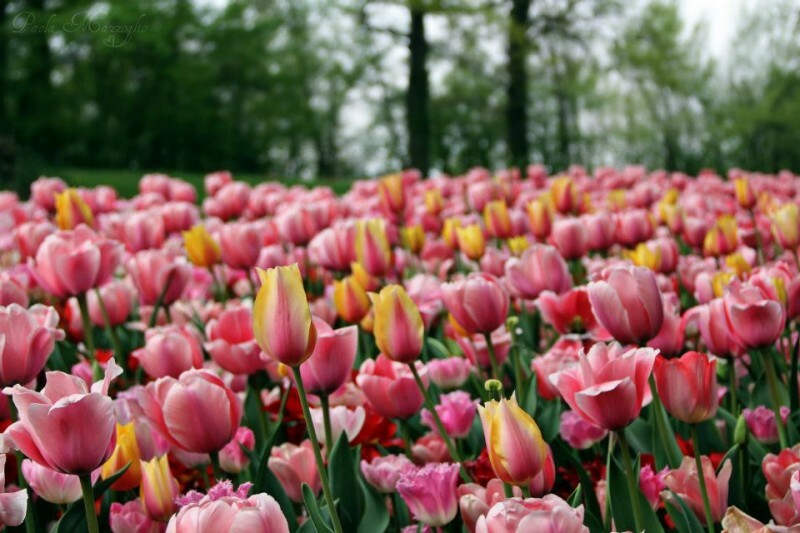 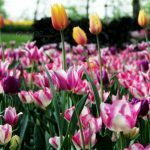 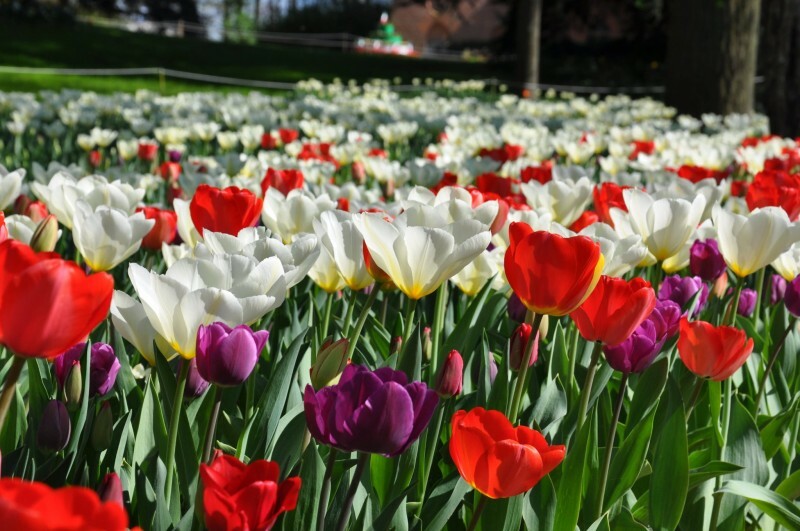 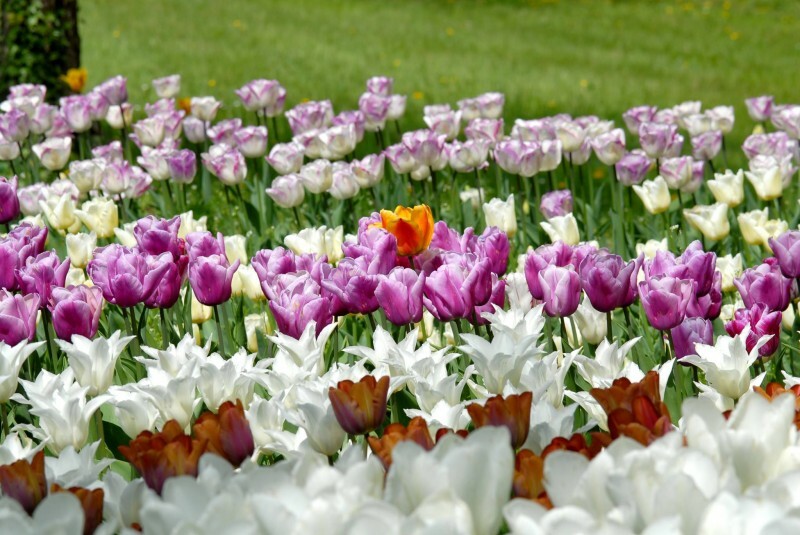 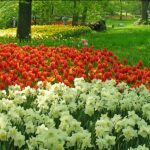 Mister Tulip appears every spring in Pralorm to bloom the tulips: every edition of this botanic event hosting a new way to plant with different variety and a new colorful project. 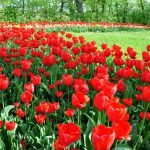 This way to plant during the autumn with the cooperation of 10 people for 10 days, shows rare and unknown variety to the italian public, but also a variety to tell the history of the tulip. 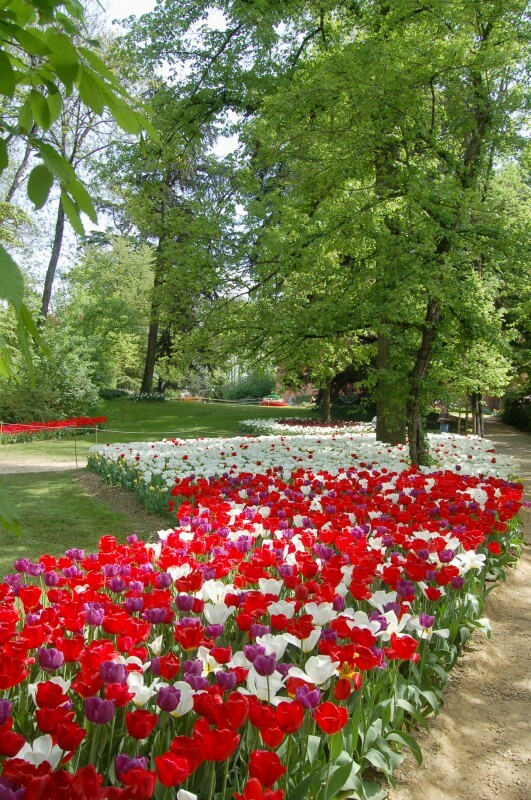 The the event covers the whole park realized in the 19 century from the court architect Xavier Kurten ,craftsman of the most important garden s of the sabaude residence :in the great laws flowerbed are been created with sinuous and soft forms ,not to change too much the historical environments and the flowerbed wind among secular trees ,much better than be geometrically regular. In the brushwood there are locks of muscari and narcissus ; in the shady zones they are planted dark bulbs that fear the rays of the sun ;along the greenhouse the wall of bricks that warmth guarantees precocious flowering while the first leaves appears on the branches. 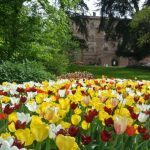 “with my husband Filippo Beraudo di Pralormo from 40 years we carry forward a constant and passionate run of recovery and value that has also allowed to open to the public the family mansion :an itinerary to discover the secrets about the real life in the castle. 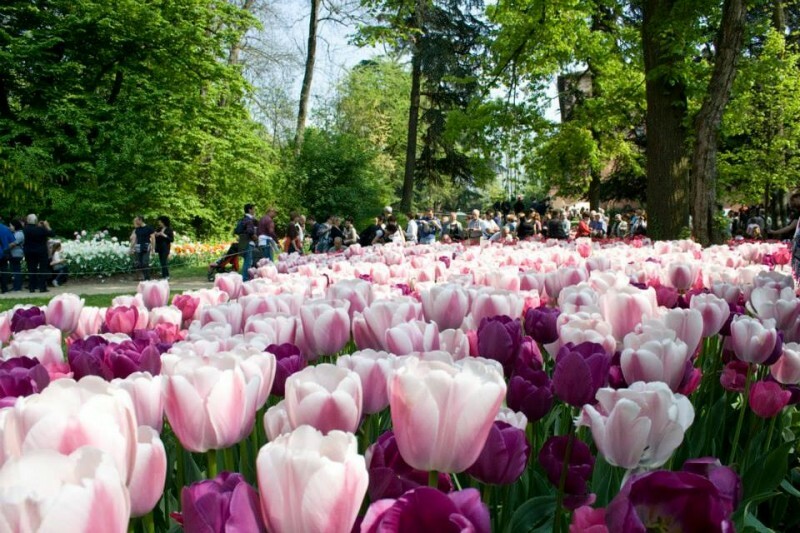 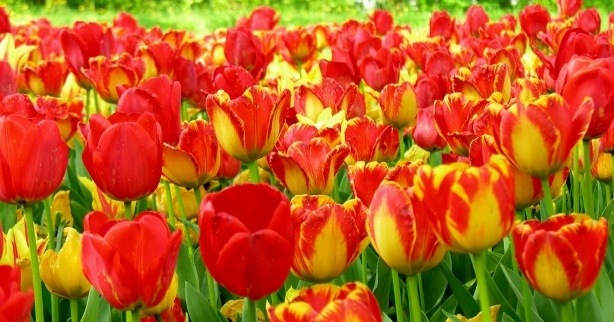 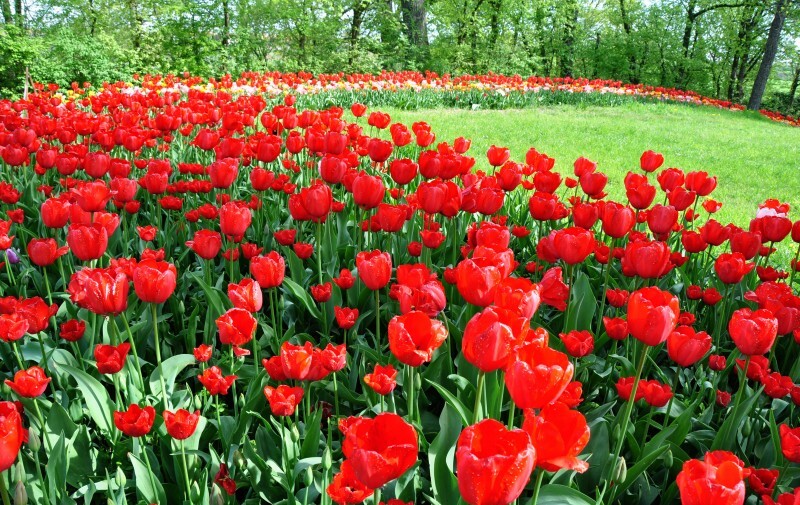 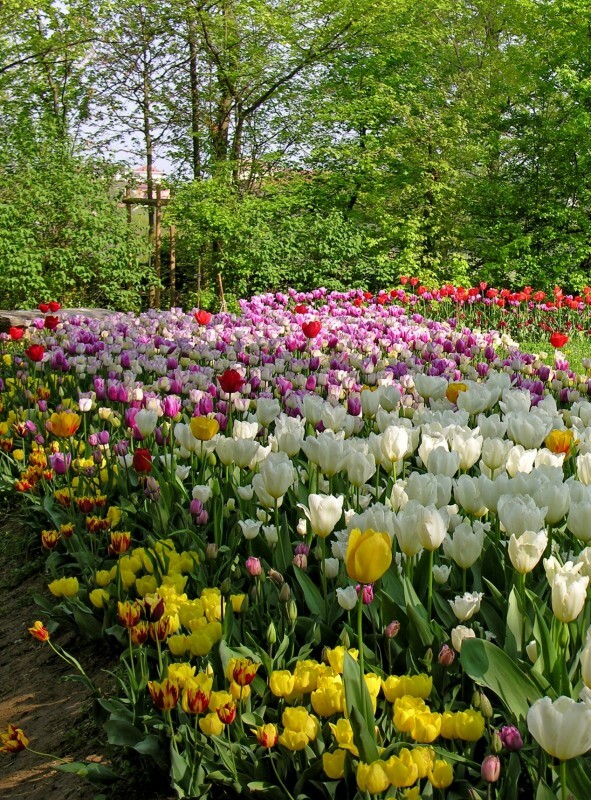 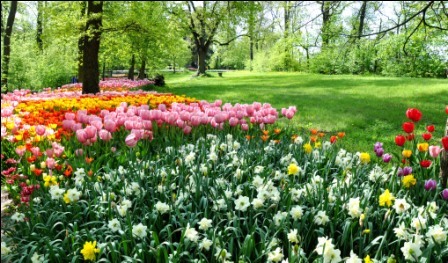 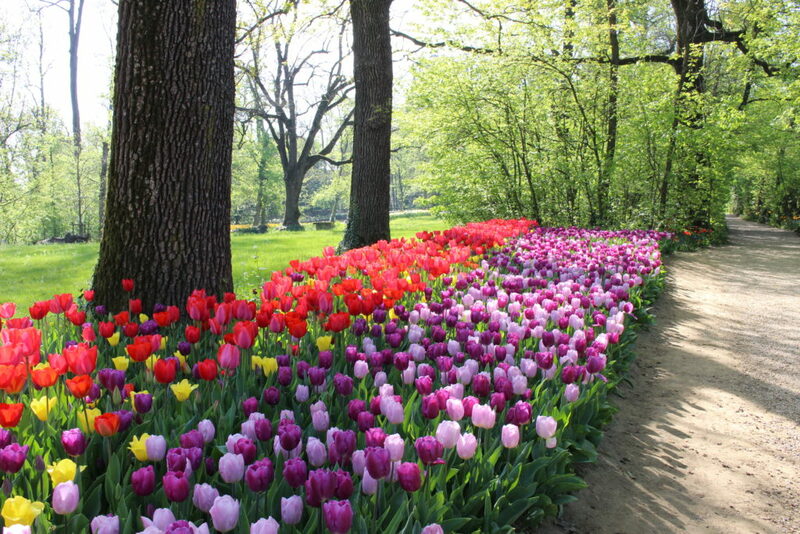 In 1999 I have thought about to create, in park of the family castle a great event dedicated to the tulip: MISTER TULIP. 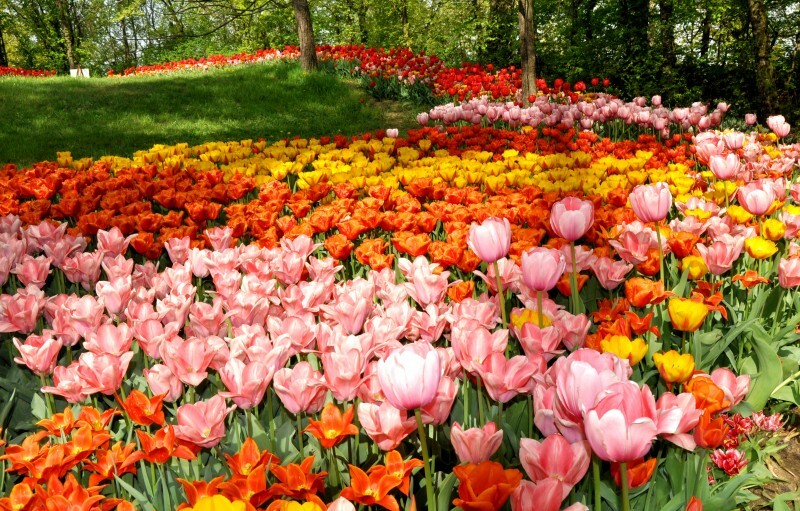 To whom asks me why I have chosen really the tulips, I replay as if often happens in the life events ,chances and meetings have combined together. 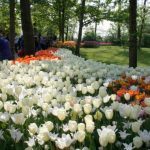 For a long time I keep in mind to organize a botanical show and I picked up material and ideas over the years, I had visited a lot of shows and events in Italy and outside, but I didn’t to figure out “mine exibition”… Then during a summer trip to Holland something happened! 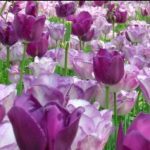 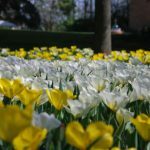 The tulips are elegant and beautiful and they grow in the earth sand and you can put them under the soil without upsetting the design of the English style garden crafted by Kurten… the tulips have a charming story like the castle. 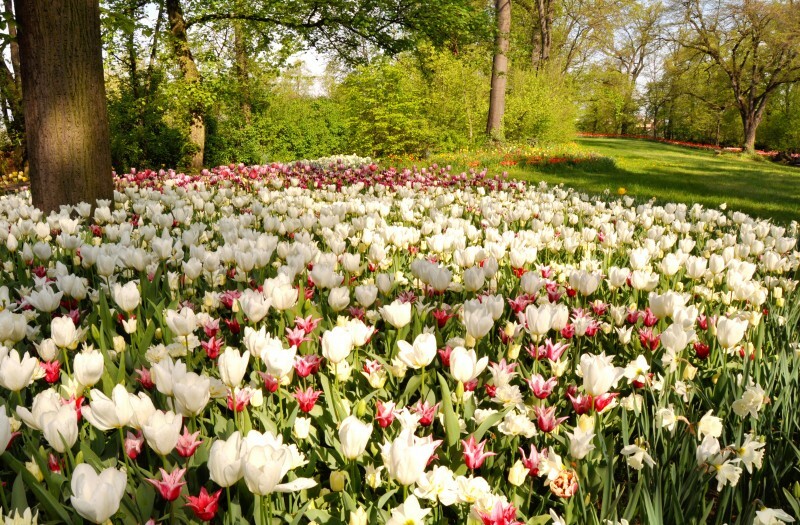 They have different colors and shapes and make me creative in the planning, in such romantic way wanted by Kurten: flower bed sinuous that wind among the trees follows the paths approaching different tonality in delicate shade, while the brushwood blooms continuously… maybe is this the Tulipomania that burst in 17 century in Holland has fascinated also me? 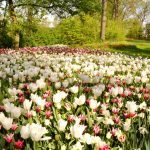 The artist Antonio Molino has crafted the character that both of us wanted for the event, an old gentleman from Holland, with a gardener apron, kind an impeccable manners, interest in botany, expert photographer and warm guardian of the creatures of the wood. 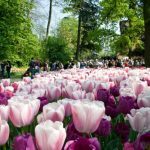 From that moment every spring Mister Tulip appears in Pralormo to bloom the tulips to transform English park into a magic garden that contains themed shows and events. 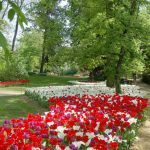 In the frame of the splendid flowering the exhibition proposes new collateral matters that animate the park and offering a pleasant tour to everybody. 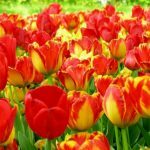 All the images are covered by copyright.